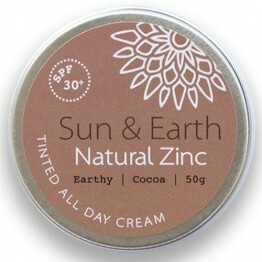 Natural Sunscreen is formulated to sit on the skin and not to soak in. It is done by using zinc oxide as the natural active ingredient. 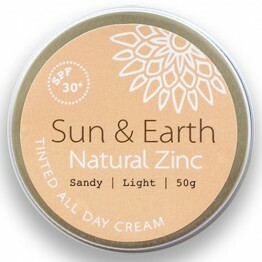 Zinc oxide is a white powder and can leave a pale white cast on the skin when applied. If you're out for a day at the beach and swimming, it is best to apply the sunscreen a little thicker than normal, especially on the face. When you do this, you can look a little pale. There are two ways to achieve this. The first is messy and time consuming as it requires you to pre-mix a natural foundation with your sunscreen to acheive a tinted look. 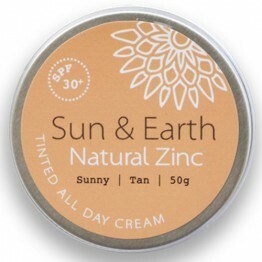 The easier way is to purchase a tinted natural suncreen. 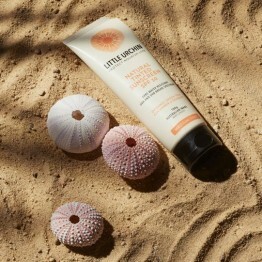 If you are not swimming, we recommend the use of one of the natural face sunscreens underneath your favourite BB Cream.